Home / News / Flash Cast & Producers At WonderCon 2015! Flash Cast & Producers At WonderCon 2015! 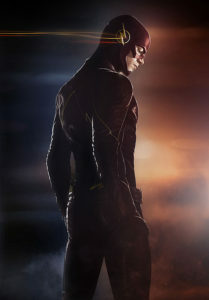 It has been announced that The Flash will be one of the shows featured at this year’s WonderCon in Anaheim. 1:30 The Flash Special Video Presentation and Q&A — The Flash is a fast-paced super hero drama that follows the high-speed adventures of the Fastest Man Alive. After the unexpected and devastating explosion of the S.T.A.R. 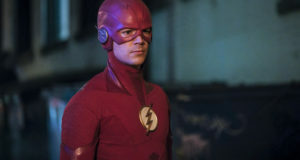 Labs Particle Accelerator, Central City Police Department CSI Barry Allen finds himself suddenly charged with the incredible power to move at super speeds. While Barry has always been a hero in his soul, his newfound powers have finally given him the ability to act like one. However, Barry was not the only one affected that fateful night, and there is now a rash of super-powered villains popping up all over Central City. With the help of his friends at S.T.A.R. Labs and foster-father, Detective Joe West, Barry works to keep his city safe from these “metahumans,” while at the same time working to uncover the secrets of and defeat his arch-nemesis, The Man in Yellow, who is responsible for the death of his mother and wrongful imprisonment of his father. Join Danielle Panabaker, Candice Patton, Carlos Valdes, along with executive producers Greg Berlanti and Andrew Kreisberg for a special video presentation and Q&A. 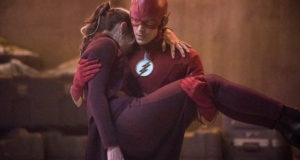 From Bonanza Productions Inc. in association with Berlanti Productions and Warner Bros. Television, The Flash airs Tuesdays at 8/7c on The CW. Next: Photo: Tom Cavanagh is… Reverse-Flash!